Missed anything at the National Kidney Foundation’s 2015 Spring Clinical Meetings? Check out AJKDblog’s coverage of the meeting below! ACEi/ARBs and AKI: Any Benefit? 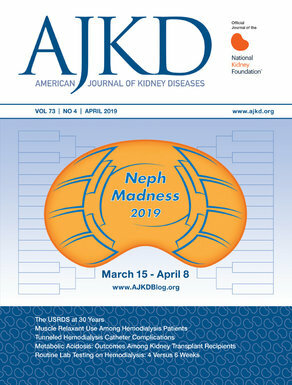 Renal Denervation… Is the Game Over? Plasmapheresis and Cast Nephropathy: Does It Help? Late-Breaking Abstract: Vonapanitase – Does This Improve Fistula Patency? Magnesium and ESRD – Is There a Risk? Do Nephrologists Know How to Manage Pregnant Patients on Dialysis?